Steeped in oral history of a legendary paramount Chief of Ifaluk named Moush, his totem adorns the front supporting post of Katelu. The area directly behind the meeting house covered in dense foliage is still a taboo site (roang). 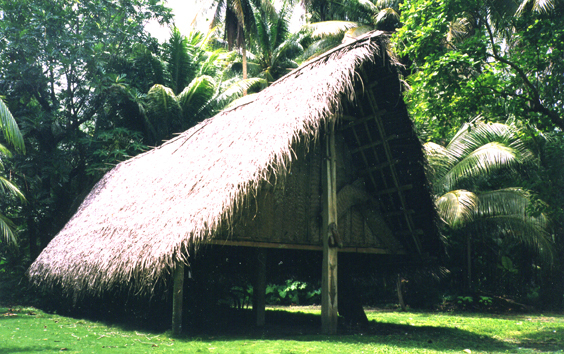 One of the very few left in Micronesia.